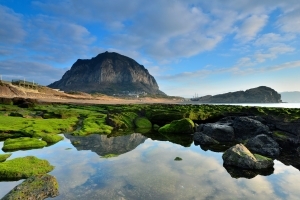 Jeju Island, also known as the "Island of the Gods," is a popular vacation spot for Koreans and many foreigners. 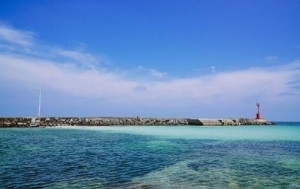 It remains one of the top honeymoon destinations for Korean newlyweds. The island's mixture of volcanic rock, frequent rains, and temperate climate, make it very similar to the Hawaiian Islands in the U.S. 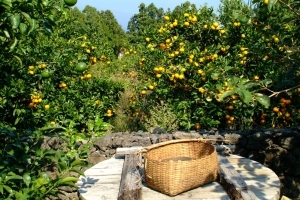 The island offers visitors a wide range of activities: hiking on Mt. Hallasan (South Korea's highest peak), catching sunrises and sunsets over the ocean, viewing majestic waterfalls, riding horses, or just lying around on the sandy beaches. 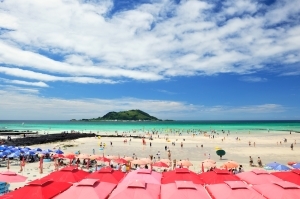 Hyeopjae Beach is located on the west side of Jeju. The beautiful white color of the sand comes from the large amounts of crushed seashells that have been mixed in with the sand. The white sandy beach is about 20 meters long, and the water is 1.2 meters deep with no sudden drops. Suwolbong rises 77m above sea level and the ocean-facing natural formation is surrounded by steches of green fields. On a clear day, the sunset from Suwolbong is comparable in beauty to the one from Sarabong. Below the peak is a steep cliff which faces toward the sea. Visitors can enjoy mineral water that falls freely from the cliff. 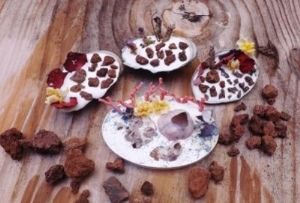 Seongsan Ilchulbong Peak [UNESCO World Heritage] rose from under the sea in a volcanic eruption over 100,000 years ago. Located on the eastern end of Jejudo Island, there is a huge crater at the top of Seongsan Ilchulbong Peak. The crater is about 600m in diameter and 90m high. With the 99 sharp rocks surrounding the crater, it looks like a gigantic crown. Jeju Haenyeo Museum is established to introduce to the world the unique activities and culture of Jejudo’s haenyeo female divers, who dive into the ocean water to gather various shellfish, seaweed, etc, without using any underwater diving equipment. The museum exhibits various photos of haenyeo female divers and their activities, to provide an accurate picture of their lives. Bijarim Forest is a group of about 2,800 nutmeg trees between 500 and 800 years old. This is the largest nutmeg tree forest in the world. A walkway through the forest has been installed for visitors to enjoy a stroll through the wonderful forest. 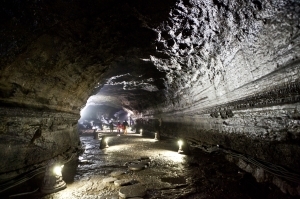 Manjanggul Cave [UNESCO World Heritage] is one of the finest lava tunnels in the world, and is a designated natural monument. 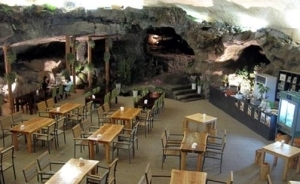 Manjanggul Cave has a variety of interesting structures inside including 70cm lava stalagmites and the lava tube tunnels. Daheeyeon Garden is a major tea farm on Jeju Island, which has the best conditions for growing great tea in a natural environment.